Hypopigmentation is a condition that describes an abject absence of the ideal amounts of melanin (the chemical that gives color to the human skin). It is usually caused by a wide array of factors, ranging from disease and suffered injury to accidents, burns and any other trauma that the skin suffers. The treatment of hypopigmentation can sometimes prove to be very tricky. There have been topical treatments developed that are capable of helping with the condition as well as light-based solutions such as IPL, excimer lasers, and the Fraxel Restore laser, all of which can also be used. As stated earlier, the skin gets its color from the presence and action of melanin. The skin bells that produce melanin are known as melanocytes and when these cells experience a reduction in their production, hypopigmentation is the condition that results. In certain parts of the world, hypopigmentation is also known as skin depigmentation. Hypopigmentation can also be caused by the use of improperly administered skin resurfacing treatments, such as Photofacials (IPL), laser peels, or chemical peels. When used or administered wrongly, these treatments can cause the skin to lose its color as well (or any other skin damage that causes hypopigmentation). Allantoin is an active and highly effective moisturizing ingredient that can be found at the root of the Comfrey herb. Over the years, it has been found to possess certain therapeutic action that remotes the healing and development of the skin. 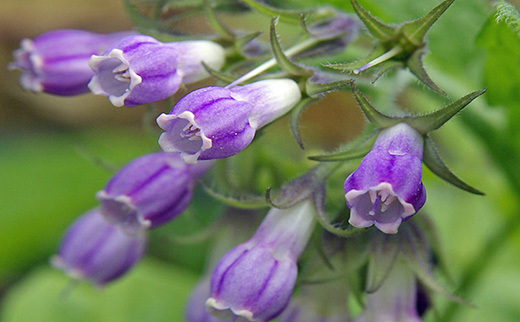 Allantoin is used heavily due to the fact that it is safe and anti-irritant. However, it has also been known to stimulate the production and synthesis of melanin, therefore making it a perfect treatment method for hypopigmentation. In order to treat hypopigmentation, research has shown that Allatoin is highly effective. As stated earlier, hypopigmentation is caused by a deficiency of melanin in the skin. Allatoin has a natural ability to synthesize melanin and by introducing it to the skin, more melanin is bound to be added to the skin, thereby combating hypopigmentation to a large degree. There has been quite a lot of research that has gone into finding the general benefits of the compounds found in allantoin. Hydrating: Alantoin helps to increase the level of water in the skin and this makes it a perfect treatment for dry and scaly skin. Repairing: Allantoin is famous around the world for its natural ability to enhance the proliferation of the cell, thereby encouraging the growth of new and fresh tissue. Allantoin has also been known to heal wounds effectively and research has shown that it can clear away necrotic tissue, paving the way for the development of new and healthy tissue. Healing: Allantoin is an active skin protector and it also bolsters the healing process of the skin. This quality makes it a perfect treatment for skin injuries, scars and irritations. Relieves dryness: Allantoin enhances the regeneration of the skin by combating skin dryness and fixing an impaired barrier. By doing this, Allantoin has he ability to help soft and sensitive skin to become tougher and more resistant to injuries. Protecting: As an ingredient, not only does Allantoin soften the skin, it also proves skin that is gapped and damaged by excessive exposure to rays of the sun. Studies have also shown that it is capable of protecting the skin from cell damaged induced by the sun’s dangerous ultraviolet rays. Soothing: Allantoin is considered as a highly effective anti-irritant, as it has the ability to calm and soothe inflamed skin. This is one of the reasons why it is used extensively in baby products. Free Radical Activity: When allied topically, Allantoin helps to greatly reduce the activity of free radicals on the skin. Keratolytic action: In order to effectively perform its protective and regulatory functions, the epidermis (the outer layer of skin) produces an incredibly large amount of proteins and oils (known as lipids) that are naturally found in the stratum corneum. This production process is known as keratinisation and it this process experiences a shift out of balance, the epidermis produces more keratin than usual (and more than which is needed) and as such, the structure of the barrier function is changed. To treat this, Allantoin is effective in that it is able to interact with the keratin in the skin in order to thin out a thick and abnormal stratum corneum. This is usually why interaction with Allatoin usually leaves.the skin looking smooth and fine. There is no denying that vitamins play a vital role when it comes to skin care. Vitamins A and E are critical factors when it comes to your skin’s well-being. Vitamin A helps decrease the effects of sun damage, which dries skin out and also reduces its elasticity. 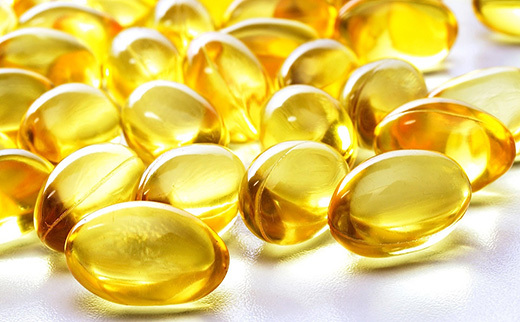 Vitamin E helps improve dry or rough skin; such as skin damaged from the sun’s harmful UV rays. Both vitamins can be found in topical and oral supplements, however it is important to know that oral regimes are far more successful in delivering these fat soluble vitamins where it matters as opposed to rubbing the vitamins on your skin. Vitamin A which contains fat-soluble retinoids plays an important role in skin health. Vitamin A can help you to get a better eyesight as well. It is critical for regulating enzymes, encouraging the immune system and generating red blood cells. In oral treatment, you have to eat vitamins in the form of capsules or tablets. You can take Vitamin A or E capsules to eliminate the deficiency of these vitamins from your body. Many skin care experts would argue that oral treatment is the only worthy option. Topical application has been shown to be ineffective in delivering Vitamin E to the skin. It is poorly absorbed and utilized. Vitamin E, when taken orally is better suited for deficiencies and provides greater benefits to the skin. Ginger roots can reduce the unsightly appearance of white scars on your skin to a very significant extent. This fantastic root is known for its toning, antioxidant and aphrodisiac properties, which effectively contribute to a glowing and radiant skin. Aside from its benefits in reducing the appearance of white scars on your skin, it also nourishes and softens skin, allowing you to have a more beautiful and younger skin without spending a fortune. There are numerous ginger root benefits that are least known in society beyond Asia. China has known the magic of ginger root for centuries and many people today still use its power. Ginger removes skin toxins and stimulates the circulation that result in the delivery of more minerals and nutrients to the skin. It also improved elasticity, which makes your skin more youthful and firm. Some may think that removing white scars on their skin is a very painful and expensive process. The great news is that with ginger for hypopigmentation, scar treatment becomes easier, natural and cheap. Ginger for white scars is completely harmless. When it come to using ginger to resolve hypopigmentation, make sure to wash the ginger root before you cut thin slices. This type of treatment might be slower than the laser or surgical treatments but it is natural and safe. You do not have to worry about any side effect because the only result you will get is an improved skin color. If you want to avoid the hassle of buying fresh Ginger Root and slicing it to apply on your skin every day, you can seek out Hypophil Scar & Discoloration Aid which has fresh Ginger Juice as one of it’s main ingredients. Allium Bulb Cepa (Onion) is an important ingredient in proven scar gels such as Hypophil Scar Treatment and Mederma Scar Treatment. It contains a combination of some of the best potent chemicals including sulphur compounds which give your skin a glow. It contains antioxidants which helps restore damaged cells. Being one of the best antioxidant it has immense quality of removing dead cells and make a new layer of cells which make your skin beautiful. 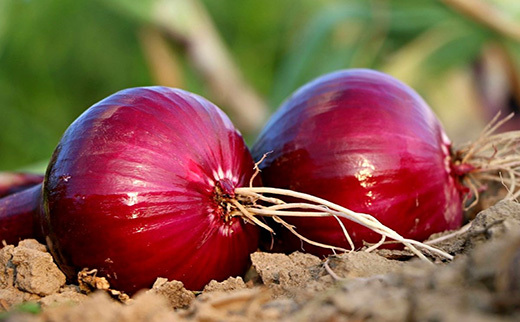 Chunk a red onion and rub it on your dark spots and skin scars, you may feel irritation of high intensity or your skin would turn into red but don’t worry, this is the sign that your disease has found some amazing natural remedy to cure. – Onions have antibiotic and carminative properties that cure infections and keep you away and safe from them. – Onions have the presence of Vitamin A, Vitamin E and Vitamin C which can provide countless benefits to your skin. If you have already tried several products on your skin cars and nothing has changed, then you must try onion on your scars. As an antiseptic, inflammatory and antibacterial, onion can do wonders and can give you your desired results. For glowing skin, onion can be very helpful. One must use once or twice a day in any form. For skin care and glowing skin, keep a paste of onion mixed with milk and apply it on your face gently with the help of cotton balls. You will definitely see the difference before and after. Onion juice can also be applied directly on the face, you may have some facial irritation but as the days pass you will feel less and less irritation as all of your dead skin cells have been removed. Allantoin is one of the best medication for the sun burns, wound healing and also in the treatment of patients who are undergoing chemo for cancer. It can be applied to cuts and stitches to heal the wound. Allantoin is found in different natural skin care products and creams. This is mostly found in plants and can also be derived natural synthesized process. There are various synthetic compounds that are useful for the skin, and a standout amongst the most adaptable is Allantoin. This compound can be discovered normally in many creatures and plants, and is additionally blended in research centers while being utilized for business purposes. Allantoin has various skin health management applications, and is thought to have saturating impacts and in addition properties that make smooth, solid skin. In spite of the fact that the ingredient’s name might be hard to call, it is thought to be a moderately safe compound in healthy skin items, as it has a low occurrence of symptoms. Allantoin is found in various diverse items, for example, skin inflammation scar medications and lotions, and is normally alright for all skin sorts. Allantoin soothes irritated and red skin. It also restores burned skin and helps in skin protection. It contains anti-irritant properties. If you have a rough and pitted skin and you have tried products than you must now start to use products containing Allantoin. It can give you healing and soothing effect to your imperfect skin and scars. Allantoin also plays an important role in cell regeneration. When applying sunscreen on your skin you need to be very careful in selecting the right product. If you experience facial irritation after applying the sunscreen, then you must consider switching your product. Allantoin sunscreen is preferred to use as it is best for every type of skin. Hypopigmentation are common unattractive white scars or patches on the skin that occur because of inactive tyrosine enzymes or melanin underproduction. It is a very common skin problem that can be experienced by individuals of all skin types. Because an increasing number of people are suffering from this problem, many have tried different treatments to fix the problem. Fortunately, natural cures such as the use of ginger for hypopigmentation are now available. Ginger is not just perfect for tea or as a spice for your favorite dish. Apart from its number of health benefits, this superfood is also perfect for your hair and skin. Ginger is loaded with over forty antioxidants known to fight various signs of aging. 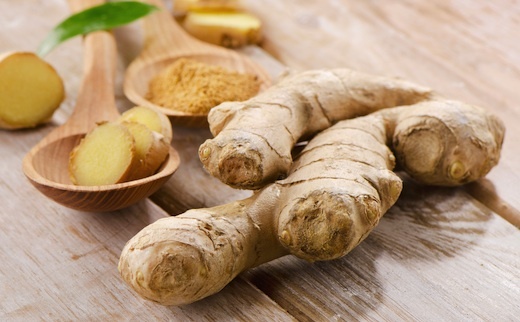 Ginger root will not only make you feel and look young but it is also ideal in treating hypopigmentation. 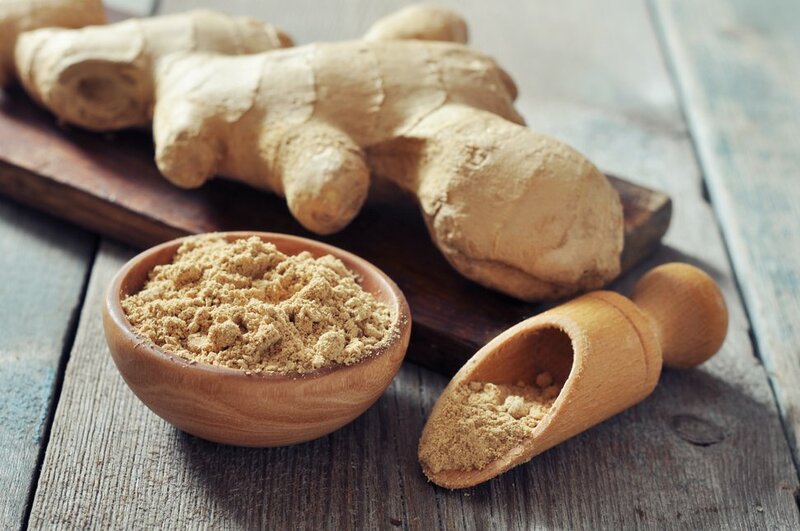 Ginger root can work directly on damaged skills cells that consist of hypopigmented scars. It also stimulates melanocytes in order to produce enough melanin. Consequently, the skin’s natural color comes back and the white spots gradually disappear. The following steps will help you enjoy the maximum skincare benefits of ginger for vitiligo. Take out a small slice of fresh ginger root and rub it with the area where the white scars are. Make sure that the juice comes out and that the scarred area gets moist. Leave the juice on that area of the skin for a few minutes. It will then go into the skin and begin to work immediately. When the skin absorbs the juice completely, you do not have to wash the skin off. Make sure to use fresh ginger for vitiligo for best results. Continue doing this for at least two to three times a day. Instead of using fresh Ginger Root each time you can use Hypophil Scar Treatment which contains naturally preserved fresh Ginger Root, along with other scar beneficial ingredients such as Allium Cepa, Allantoin, Panthenol, Rosehip Seed Oil and more.